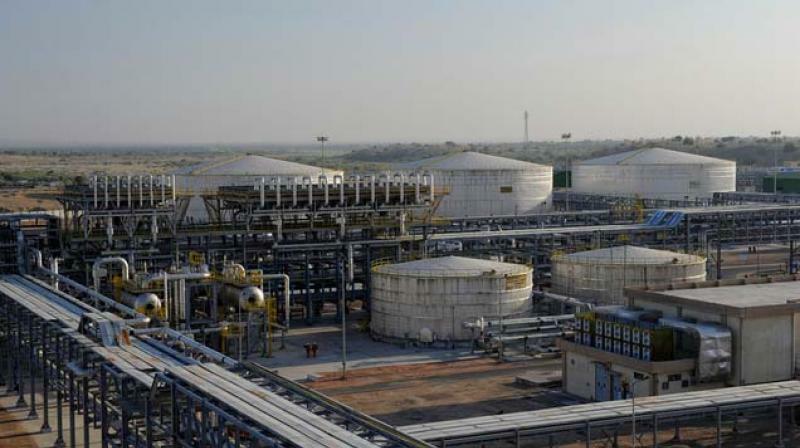 Greater Noida: Battling crippling US sanctions, Venezuela on Monday said it wants to sell more crude oil to India as it looked at the world's third-biggest oil consumer to boost revenues. Venezuelan Oil Minister and President of the Latin American state-run oil company PDVSA Manuel Quevedo hinted at being open for an alternative payment mechanism to circumvent US sanctions. "We have a good relationship with India and we want to continue this relationship," he told reporters on sidelines of the Petrotech conference here. He said US sanctions have cost the Latin American country's economy USD 20 billion and wants to sell more crude oil to India. The US has slapped sweeping sanctions on PDVSA with a view to curbing the OPEC member's crude exports in an attempt to pressure socialist President Nicolas Maduro to step down. "The relationships with India will continue, the trade will continue and we will simply expand all the trade and relationship," Quevedo said. Quevedo, who met Oil Minister Dharmendra Pradhan on the sidelines of the conference, said Venezuela has a "healthy relationship" with India. "As (India's) External Affairs Minister Sushma Swaraj said that the relationship with India will continue, the trade will continue and we will simply expand all the trade and relationship," he said. The Venezuelan minister, who now holds the rotating presidency of the Organization of the Petroleum Exporting Countries (OPEC), said it was important to listen to all the consuming countries that represent oil demand to maintain the balance of demand and supply in the markets. "India certainly has a good and healthy relationship with us and all the members of the OPEC and that will continue," he said. "So, we always keep these communications and relations with all-consuming countries in order to ensure stability and balance will continue." On the payment mechanism, he said: "We have all the mechanisms and channels to keep the operations going to satisfy India's need for oil accessibility. PDVSA is a very good oil company worldwide and we will do all to keep this relationship going". Quevedo said the "unilateral, illegal sanctions" by the US has caused a loss of about USD 20 billion to its oil revenue-dependent economy. "United States is kidnapping resources around the world. It is financial persecution. Now they want to steal Citgo Petroleum from Venezuela," he said. Citgo Petroleum Corp is a unit of PDVSA and Venezuela's top foreign asset. It operates three US refineries that supply about 4 per cent of total US fuel production. "Citgo is a Venezuelan-owned petroleum company. The United States is simply trying to eliminate competitors," he added.